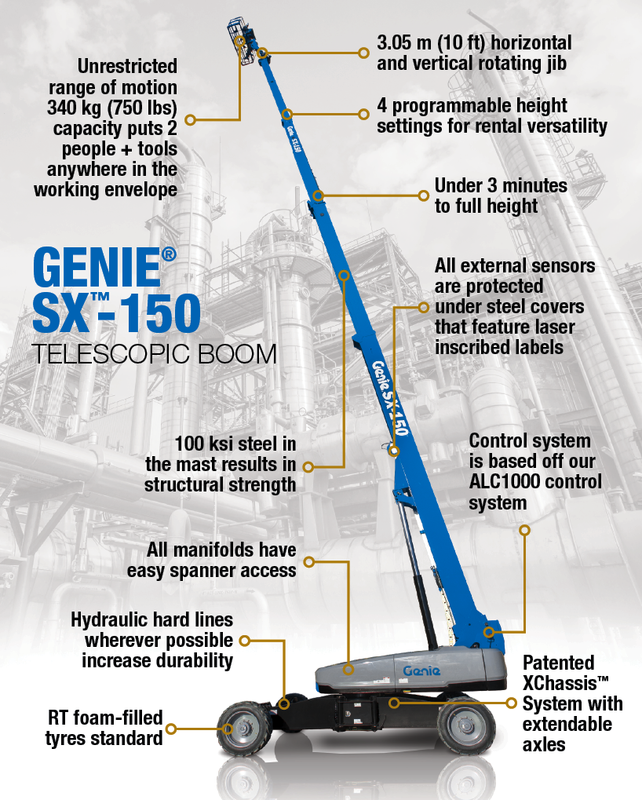 Genie continues to answer customer needs by adding value to our Super Boom product line with the SX-150 boom lift. This boom lift is a “versatile workhorse” that is tremendously durable for challenging environments and is a cost effective choice to reach challenging jobsite applications. SPECIFICATIONS BROCHUREGET A QUOTE NOW! The SX-150 boom lift is designed so that all of the important components and systems are easy to access for maintenance. The manifolds offer easy wrench access while a swing out engine tray provides easy service for maintenance access. 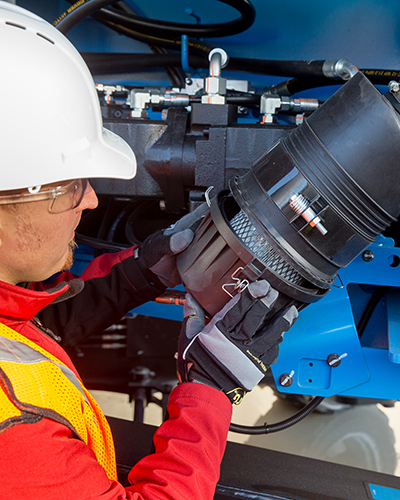 The boom features easy to reach hydraulic filters, with a drop-in, in-tank filter for easy cleaning and replacement, as well as bulk-headed hydraulic lines to be removed and replace hoses in one piece. A boom extend system features a cylinder and wire rope cartridge for fast service or replacement. 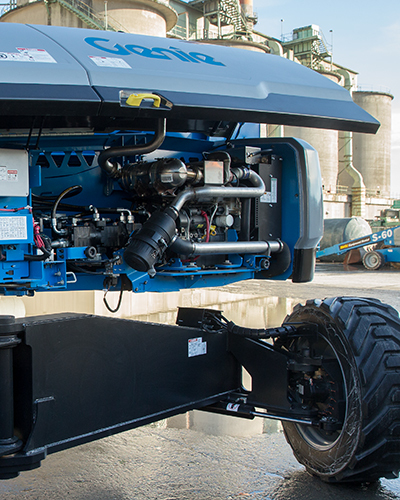 The boom uses an identical, field-proven chassis design to the SX-180 and ZX-135 boom lifts. 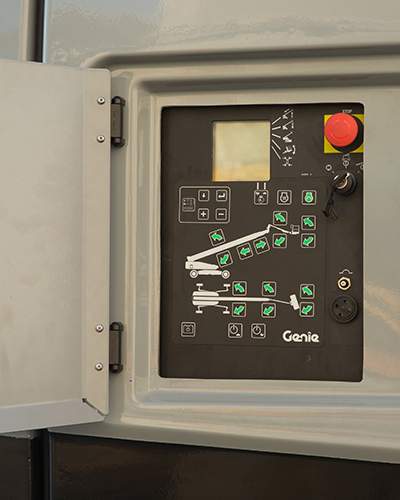 External sensors and manifolds are protected under steel covers that are easily removed providing excellent service access. The rotating jib worm drive reduces backlash while increasing reliability and offers 60 degrees of horizontal motion for increased working area. The SX-150 boom lift contains hydraulic hard lines wherever possible to increase durability while a four stage hydraulic filtration system ensures cleanliness. Our unique XChassis system both extends and retracts, allowing the SX-150 boom lift to provide excellent stability in a profile narrow enough for transport on a standard trailer without requiring over-width or over-height permits. The new Genie SX-150 boom lift offers uncompromising productivity, reliability and serviceability.